In accordance with its 2017 Annual Work Plan and within the framework of Statistical Capacity Building (StatCaB) Programme, SESRIC organised the Training Course on ‘Coordination of International Statistical Work’ at Pakistan Bureau of Statistics (PBS) on 13 – 15 December 2017. The Training Course was conducted by Ms. Grace Bulenzi GULERE, Uganda Bureau of Statistics (UBOS), with the participation of 14 officials of the PBS. As defined in the Classification of Statistical Activities (CSA Rev. 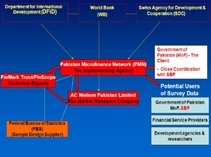 1 - October 2009;http://goo.gl/olg3Tz); Coordination of International Statistical Work – includes the topics on coordination of statistical activities across international and supranational statistical organizations, includes work on the Database of International Statistical Activities, work of the Conference of European Statisticians, Statistical Commission and the Coordinating Committee of Statistical Activities. Definition of statistical programmes with the IMF and other Organisations. Identification of coordination mechanisms and structures. Measurement and documentation of the process of compiling requisite information. Adoption of a KYU Model (Know your User). Making users aware of how they can find the information they need. Soliciting feedback from users on their experiences of the statistical service they receive. Responding to data requests from various users in a timely manner and consulting users before making changes.